"There are easily manageable organs which are portable and are pumped and played by the same person, who also sings either the soprano or tenor part." 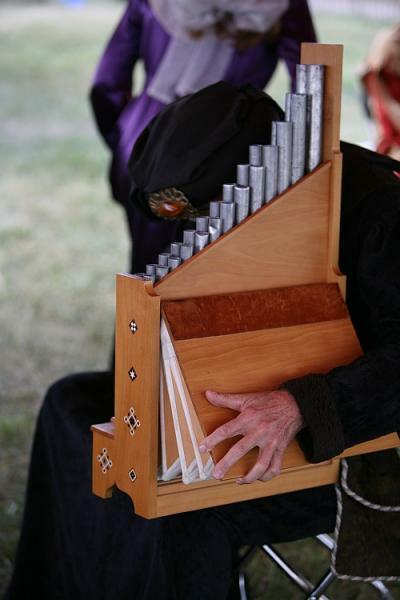 The organetto was one of the most popular instruments of the thirteenth through sixteenth centuries. Relatively light in weight, the instrument, when equipped with a sling, could be carried about and played in religious processions. The player provides his own wind supply by pumping a bellows made of sheepskin and wood with his left hand while playing a button type keyboard of approximately two octaves with his right hand. 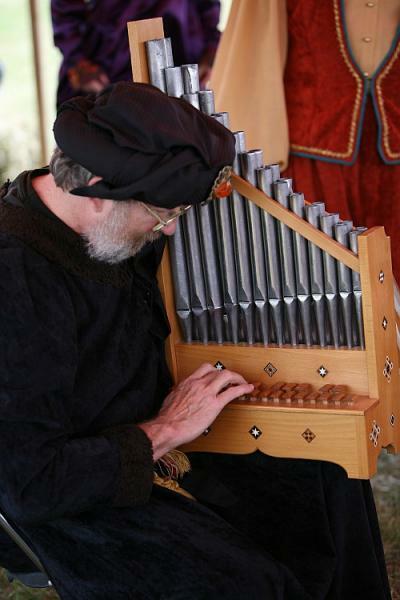 Because of its limited air supply, the organetto could only play one note at a time. Thus it was used for monophonic dance music, or a single part in a motet, chanson, or other polyphonic work. Pipes are arranged in two rows and have a high lead content. The key action is mechanical: depressing a key allows air from the bellows to enter the appropriate pipe. 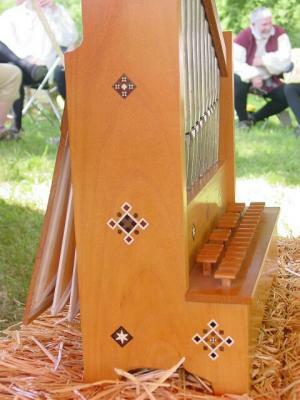 Although the organetto is tuned in Pythagorean temperament, other temperaments are possible by pushing harder or more lightly on the bellows. The sun was coming up and beginning to get warm, a thousand birds were singing. 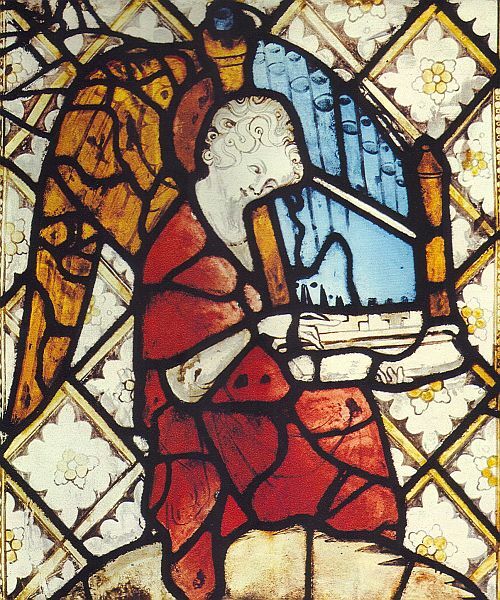 Francesco was ordered to play on his organetto to see if the singing of the birds would lessen or increase with his playing. As soon as he began to play, many birds at first became silent, then they redoubled their singing and, strange to say, one nightingale came and perched on a branch over his head. Musica Antiqua's organetto was built by the John Brombaugh Organ Company from a fifteenth century painting on wood by Hans Memling. The bellows provide air pressure only on the downswing, so the player has to space the opening of the bellows much as a vocalist carefully places breaths. Notice the wood inlays which appear on both sides as well as the front.